Enjoy fresh cuts of meat from our butcher shop and meat market in Paris, Texas. David's Meat Market offers fresh beef, pork, and chicken, as well as lunch specials, frozen vegetables, and catering services for your next event. Don't settle for the pre-cut steaks in the regular supermarkets; contact us at (877) 231-9325 to learn about our custom cuts of meat. Serve up delicious cuts of tasty beef, pork, and chicken for dinner with meats from David's Meat Market. 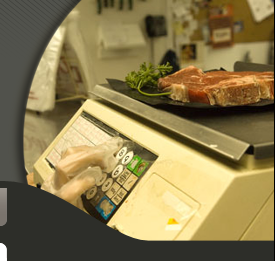 Every piece of meat that you order is cut to your exact specifications and nothing is pre-cut. Chow down on a savory meal by trying our daily lunch special. David's Meat Market offers special lunch dishes, such as deli sandwiches, brisket, ribs, and chicken, from 10 a.m. until 4 p.m. Each meal comes with chips and drinks. Are you in need of a caterer for your next event? Our staff can whip up smoked meats, steaks, hamburgers, and hotdogs to serve your guests. No event is too big or too small for us. We have provided services for weddings and company picnics. 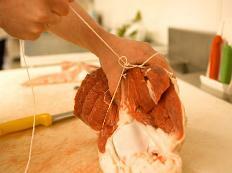 (877) 231-9325 today for more information about the fresh meat and vegetables available at our butcher shop. Visit our butcher shop for fresh meats and great customer services. 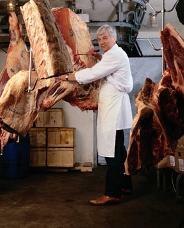 In 2001, our owner started this meat market to offer custom cut meats to the community.